FLCL (also known as Fooly Cooly) is an anime series that is very hard to describe. Known for being quirky, over-the-top and downright weird, the show made a name for itself in North America when it first aired on Cartoon Network’s late night Adult Swim block. Now the series is making a comeback. It was announced via Toonami’s official Tumblr account that FLCL will return on October 26th at 2:30 AM. 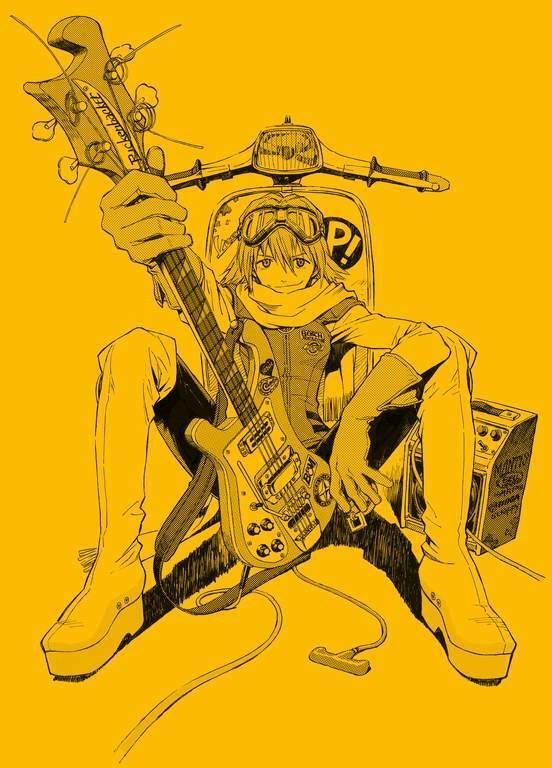 FLCL follows the childhood misadventures of a boy named Naota, whose life takes a turn for the weirder when a mysterious woman riding on a Vespa clocks him upside the head with a guitar. That’s only the beginning of a set of circumstances that change not only his life, but the lives of everyone around him. It’s a story about love, robots, family, space pirates, and growing up. The series was produced by Gainax and Production I.G and premiered in Japan in 2000. It’s been licensed by Funimation in North America and is available to stream on their YouTube channel if you want to check it out before it makes its return to Cartoon Network. Are you excited to see FLCL back on North American TV? Have you seen the series before, and what did you think of it? Let us know in a comment.